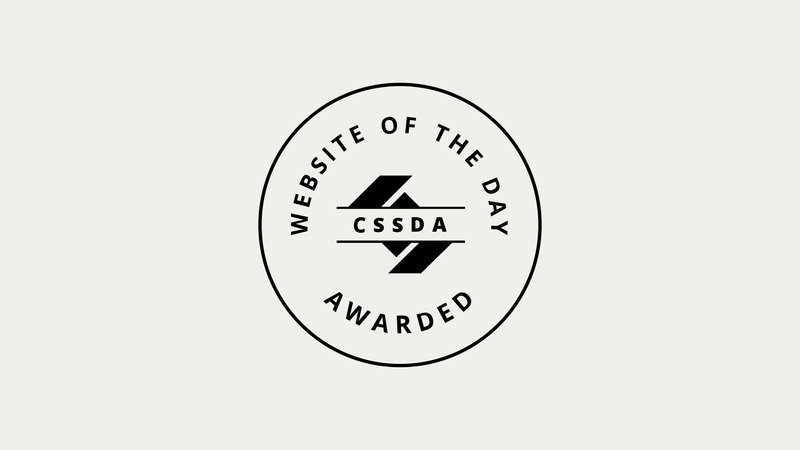 We’re so proud to have been chosen as ‘Website of the Day’ on October 3rd 2018 in the international CSS Design Awards. Launched in 2010, The CSS Design Awards are a web design and development award platform for digital creatives, UI/UX designers and inspiring leaders of the web. The international awards showcase freelance designers, studios and agencies’ work that push the boundaries of UI, UX and innovative development. 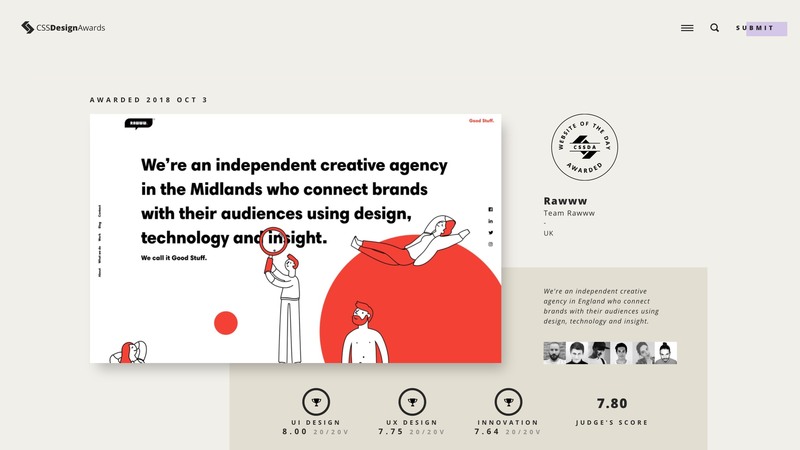 A panel of expert judges scoped out Rawww’s new website (launched August 2018) and awarded an overall score of 7.80 out of 10, looking at UI and UX design along with innovation. Awarded with an official certificate and digital trophies, Rawww’s website was also voted by the public to win Best UI Design, Best UX Design and Best Innovation categories over other suggested websites.